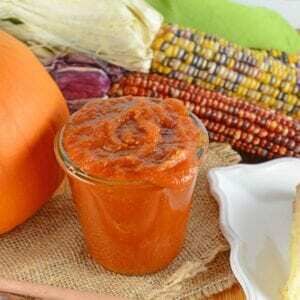 Pumpkin Butter is an easy spread that can be used on everything from pancakes to dinner rolls and everything between! Make extra to give as presents, hostess gifts or party favors during the fall months. Place all ingredients in a heavy bottom sauce pan. Heat over medium-low until bubbling. Stir well and reduce heat to low. Continue to stir and simmer for an hour. Mixture will have some texture, place in a food processor to make it smooth, if desired.